A Genuine Toyota Oil Filter will remove impurities in your engine oil and reduce wear on critical engine components. Engine oil needs to be filtered to help maintain proper oil viscosity and protection. Toyota Genuine Oil Filters are designed with exact specifications for the flow rate, filter quality, and oil capacity of your Toyota. Order a Toyota Oil Filter from our Toyota parts experts at Maplewood Toyota. Let’s keep your Toyota a Toyota. Need your Toyota Oil Filter changed? 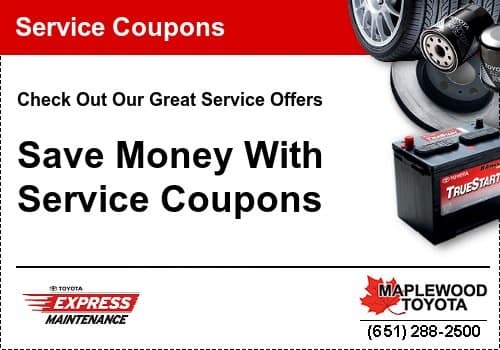 Our Toyota-trained technicians right here at Maplewood Toyota in Maplewood, MN can perform Scheduled Maintenance and Oil Changes on your Toyota or Scion using Toyota Genuine Oil Filters.